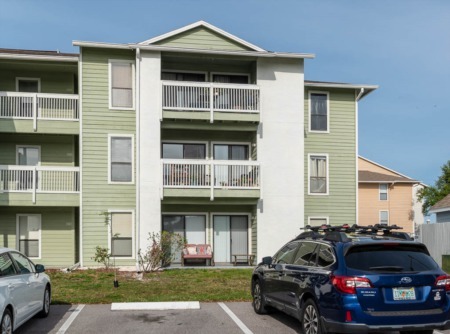 The villas of Hidden Brook are exterior maintenance free for those looking for a more relaxing life style in a Florida subdivision of under 50 units. 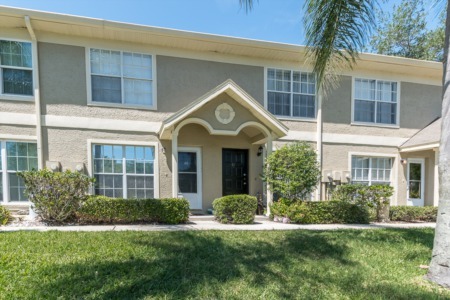 Built in the eighties, Hidden Brook of Palm Harbor villa style condos for sale are located off CR1 from Tampa Rd. west, in a deed restricted neighborhood with a community pool for your enjoyment. Ranging in price, the single story villas have from 975 to 1129 sq. ft. and most are two bedrooms and two baths. For your convenience an extra deep single car garage with washer and dryer hook up is attached. Many homes have been updated with hardwood floors, tile in the kitchens, and remodeled baths. Walk or bike to the Pinellas Trail, shops or world famous Honeymoon and Caladesi Island. A great area and a great property for anyone who is looking for a great deal near the beach and right in the middle of Palm Harbor. Email us for an alert when one of the Hidden Brook homes comes on the market, you can be first to get in on the deal. Selling your home in Hidden Brook? We are experienced real estate selling agents too and have sold many properties in Palm Harbor over the years we have been in business. We will aggressively market your property with many different forms of media but our vast Internet presence and hard work ethic are what makes us stand out from the rest. We encourage you to visit our sellers and about us pages above to learn more about Lipply Real Estate and if you are serious about selling your home, give us a call.